Does Reading for Pleasure in Schools Really Make a Difference? Sometimes we are up against insurmountable odds without even knowing it. Odds that seem to already be against us. Facing conditions that are no fault of our own, and yet, we are the ones that are supposed to change it. Often this can be how teaching feels. Like we are not just teachers of content, but instead, also the frontline for changing how students feel about school, feel about teachers, feel about anything that may happen within our days together. There are many things that my middle schoolers have taught me, but one of the biggest lessons is that it is not just you they are reacting to; it is everything you stand for, everything they feel you represent. English class tends to not be a popular thing. They tell me our class wouldn’t be so bad if we didn’t have to read or write. At times, I feel like I have lost before I have even begun. I know many students hate my class before we even start, it is part of the job I suppose. And yet, we teachers, know that there is always a chance. That we can be the change for some of our students. And so we pin our hopes on promises of change and ask our students to give a chance. I asked my students to give reading a chance this year. I promised them that if they liked reading, I would do my very best to protect that love. That if they disliked it, or even hated it, I would try to create an experience that would perhaps change their perception even a little bit. I polled them at the beginning of the year and was frankly horrified at what I found. Out of 130 students, 53.6% of students reported that on a scale from 1 to 10, reading was a 4 or less. That’s 70 students. 70 students that despite their previous teachers best intentions have already decided that reading is really not for them. Out of those 70 students, 35 students reported that they hated it. Hated it. Not just dislike. But hate. So what do you when you are faced with such insurmountable odds? What program do you lean on? What curriculum do you implement? For us; none. It turns out it is much simpler than following a curriculum. What made the biggest difference to all of my reading hating students? Books, and plenty of them. Books that were accessible through audio and text. Books that were not there to push them in a certain direction. That were not forced on them. Picture books for the days where chapter books seemed to be too much work. Free verse for those who had lost their connection with the magic of reading. Graphic novels meant to teach, entice, and enthrall. Everywhere they looked there were books and the books called to them. Without judgment. Without restriction. Without one path to being a reader. We also took time. Ten minutes every day to read. To find books. To have conversations about the texts we chose. To find something worthy of our time, that we perhaps would want to read later as well. Ten minutes that were the expectation coupled with the idea that one should only read good books, not waste our time on books that would make us dislike reading more. To abandon when needed, to book shop when desired. And finally, we had each other. 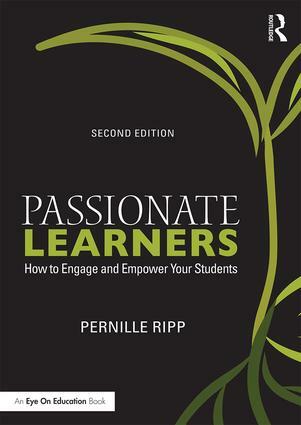 Teachers that read and recommended. Peers that read and passed on books. A sense of urgency to read books that worked for us, that mattered to us, that would make us like reading or stay in love with it. That would challenge us even if we were not sure how. So this year, once again, we spoke books and every day I hoped for a change. Every day I worked toward a change. And how did it go? On our end of year survey, I once again asked students how they felt about reading. Then I held my breath and waited for the results. I started the year with 70 students telling me they disliked reading. 104 students now say they have a better or continued positive relationship with reading. Is it perfect? No, but even within the kids that still ranked it less than a 4, 14 of them said they disliked it less. That means that within a course of 10 months; 118 students or almost 91% of my students have a more positive relationship with reading than they did before, or that their relationship remained positive. Because of great books at their fingertips. Because of the time to read every day. And because we built a community where reading for pleasure mattered and that became our curriculum. It is not perfect, but it is a start. It is not every child, but it is many. It is not unreachable, but instead a promise of creating better reading experiences that in the end mattered to the kids. And that is why I will continue to find the time for reading for pleasure in our curriculum. Why I will continue to champion reading for pleasure, choosing your own books, and giving time to students to read within our class periods, because it works. Because the proof is right here, in the very kids I teach. And I don’t think there is any curriculum, nor computer program, that could have provided me with the same result. Those come after, after we nurtutre the love, the interest, and the right to read books that matter. So if you are wondering how to get kids reading; start with the foundation of choice, of time, and of community. Then look at all the rest. Well said! When we provide a literate environment filled with choice and the time to read kids will begin to enjoy it. Slowing down and providing this environment is the hardest part. The kids do the rest. I agree…I am trying to get books into as many hands as I can, as often as I can. I think many teachers give up before they even start. Hence why there are classrooms all over the place with zero books in them. How can we expect a student to enjoy reading when their access to books is so limited? When they don’t see that it is valued? Books need to litter every available space in a class. That is how you will improve reading stats and also learning stats. And also empower students to love themselves. Thank you for taking the time to share your experience with in-school independent reading. I’m an ELA teacher and a reader, but it took me over 25 years to figure out that I needed to ditch the reading logs and allow time for reading choice books in class for students to actually love reading. I wrote about my own experiences here http://teachwithpicturebooks.blogspot.com/2017/03/how-to-create-readers-with-sustained.html if your readers want another perspective on this important practice. I agree that reading for pleasure does make a difference. My kindergarten students love reading for pleasure whether it be by themselves or with a buddy. We take time for buddies to tell each other about their favorite book in their book box. It is helpful for the next time they choose books and adds to the anticipation and excitement of shopping for books in the classroom weekly! The students do not hesitate to tell me “Hey, could you get some more of those Curious George books?” after we have had fun reading them during Shared Reading. It is a joy to see children be self-directed learners and take the iniative to tell me what they want to read more of during their time of reading for pleasure! Love to see all those happy faces reading good books! Last summer, I went to see Kelly Gallagher speak. I loved the idea of giving uninterrupted time for reading every day, without fail. 70% of my students read 10 or more books during the year. They loved talking about books, and conferencing. I was amazed. They often begged me for more reading time. We had access to lots of books, and had a culture for reading. I am anxious and nervous about next year because this year was so spectacular. This summer, I am reading, along with several other teachers in our building, the KBA booklist and our teacher generated list, so we can talk with kids about books they have read. It has been a wonderful process. One I hope to continue. Specifically, what does this look like in a classroom? How are the conversations facilitated? Is accountability through requiring an occasional share, or something else? 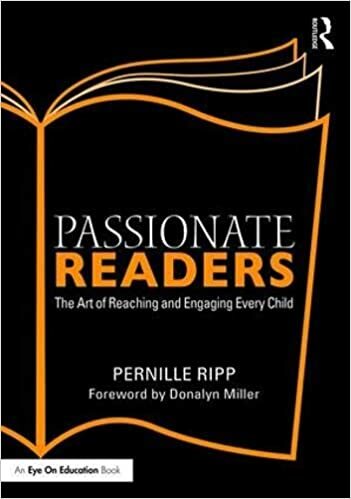 That is a big question, I have blogged extensively about what this look slike in the classroom and this is also the topic of my forthcoming book Passionate Readers. I would encourage you to read posts on this blog that pertain to reading. Would you be willing to share the survey you used at the beginning/ending of the year? Love, love, love this. I started doing making time did my students to read for pleasure released towards the end of last school year and it made such a difference. Im doing the same thing this year and now I feel I have some validation. Thank you!